I can probably count on one hand the number of times my parents went to see a movie. 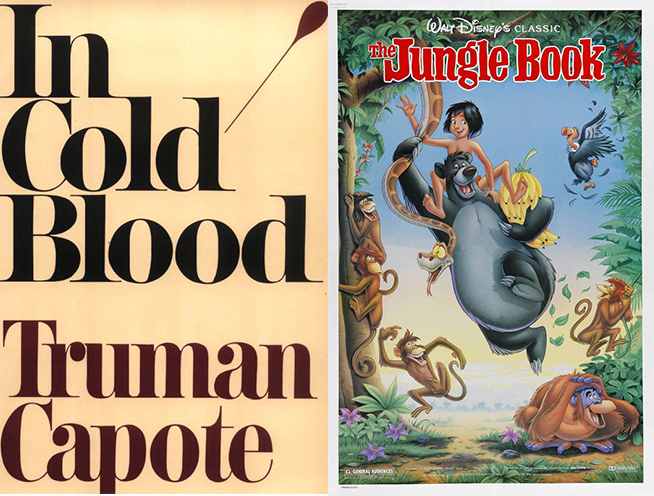 In the mid-60s, Truman Capote wrote “In Cold Blood,” a non-fiction novel based on the murders of four family members in Holcomb, Kansas. A year later, the book was adapted into a movie. My mother, a voracious reader, had read the book. My parents were familiar with the small town of Humboldt, as they were with most every small town in Kansas and Nebraska. What’s more, a man from Mom and Dad’s church had been cast in a small part in the movie as the mail carrier. So there you had it – a movie based on a book my mother had read, based on a crime that had sent shock waves throughout the Plains, and had happened in a town they were familiar with, featuring a man they knew in a major motion picture production. My mother, who didn’t care for television shows like “Gunsmoke” and “Bonanza” because of the occasional shooting, and my father—who was always in motion (if he sat more than 10 minutes he often lapsed into deep sleep and snoring), were going to see a film-adaption of “In Cold Blood.” A more ill-suited audience for a movie had never existed. They settled into their seats and were not surprised that a cartoon preceded the movie. There were often shorts before movies. They weren’t familiar with the cartoon characters—a boy with animal companions—but then they watched cartoons about as frequently as they watched movies. Thoroughly disgusted with themselves, they left the theater and came directly home. It took a few days, but eventually they laughed about the situation. The other night I browsed Netflix looking for something to take the edge off of a crazy week. I found some obscure movie about horses with an impressive 4.5 out of a 5-star rating. The review said it was inspiring, heart-warming and family friendly. Just my speed. The husband joined me. The opening scene was poorly lit. The title and screen credits may have been done by hand with a wide-tip marker. The plot and dialog were predictable. Instead of lulling me to sleep, it piqued our curiosity as we both wondered how it had garnered a 4.5 rating. We watched a little longer, still waiting for the plot to develop or at least for the camera angles to suddenly improve. About 20 minutes in, I looked at the review again and saw it was for 11- to 12-year olds. The movie apple doesn’t fall far from the tree.